Miami, Florida (October 5, 2017) –The Center for Leadership at Florida International University this week received the Silver Award from the Chief Learning Officer Group (CLO) for Excellence in Academic Partnerships, for its work with Miami-Dade County Public Schools (MDCPS). 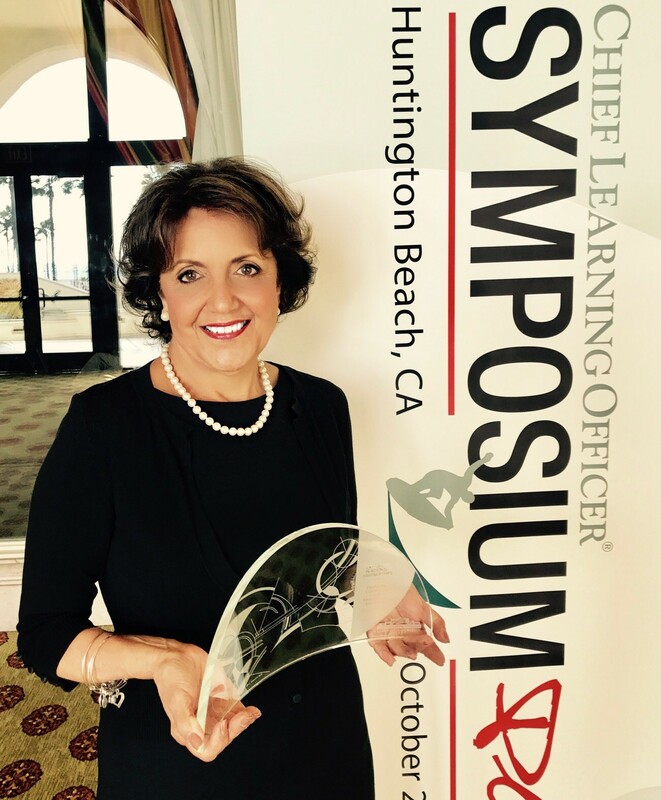 CLO’s Learning in Practice Awards were developed to recognize industry leaders who have demonstrated excellence in the design and delivery of workforce learning and development programs. Awards are given annually in two broad categories: practitioners and providers of learning. The Center’s programs, designed as part of its longstanding partnership with MDCPS and developed with the generous support of The John S. and James L. Knight Foundation, this year were bested only by Babson Executive Education Programs. “We are honored to be recognized with this award for an initiative that delivers a transformational level of achievement among Miami-Dade County school principals,” said Dr. Mayra Beers, Director of the Center for Leadership. The CLO award is the second honor this year for the CFL’s work with MDCPS. In February, custom programs for MDCPS were ranked number one by HR.com and Leadership Excellence Magazine for custom-designed programing by an educational institution. CFL’s groundbreaking Principals Leadership Development Program (PLDP) was designed to equip school principals in the nation’s fourth-largest school system to lead more effectively and achieve ever-improving student outcomes. The program began in 2010 and to date has worked with more than 275 Dade County’s principals. The 30 principals in the 2016-2017 school year spanned elementary to high schools across the county and had a direct impact on more than 3,316 faculty and staff and 31,130 students. The FIU Center for Leadership collaborated with school district administrators in the design of their program, to more fully empower principals to be agents for transformation in their schools. PLDP was the result of consulting the best research and extensive input and feedback from the superintendent of schools, district professional development administrators, sitting and retired principals, and university faculty and staff. Challenges identified and addressed by the program included employee motivation of others, distributive leadership, development of a positive school culture, leading change, autonomy in decision-making, feedback/coaching strategies, and communicating effectively with key stakeholders. The resulting programming included more than 20 learning sessions, 56 hours of instruction, and one-on-one executive coaching delivered by carefully vetted instructors – and even some homework. Principals underwent multiple assessments and developed personalized action plans to be deployed back in their academic settings. Dr. Beers noted that evidence collected over seven years on the effectiveness of learning for the long-term suggests that the impact of the sessions does not fade. Rather, it is actively being integrated into the daily leadership functions of the participants, and, therefore, also within the MDCPS environment as a whole. The Florida International University Center for Leadership is a research-based center providing leadership research, education and engagement opportunities. Guided by a sound, research-based leadership development paradigm, an outstanding community Board of Advisors and a strong cadre of university faculty, the Center’s work in the area of research, education, and engagement has earned accolades and support from the academic community, program participants and numerous constituents.